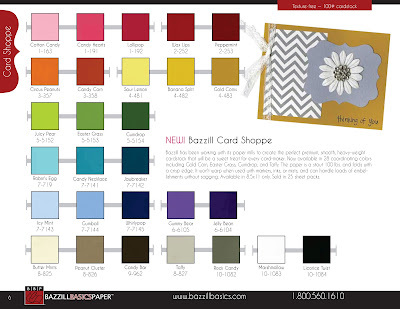 Bits and Pieces...: Bazzill Giveaway! On a happier note, the folks from Bazzill sent me some goodies to play with AND some to give away. I created this card using their new Beach House paper line. While the line is beachy in theme, there are so many wonderful patterns and motifs that work for other things! I decided to make a masculine birthday card. I cut the little tags and created a banner with them. I added some star veneers for more texture and stamped with a Studio Calico stamp. I used the Card Shoppe cardstock, too. Whirlypop was the perfect blue to go with the blues in the patterned paper. So, now for the fun part! I have a 6 by 6 pack of Beach House, along with a pack of Card Shoppe cardstock containing all the colors above! Just leave me a comment by Tuesday, the 28th (midnight EST) for a chance to win. It's such a beautiful card! 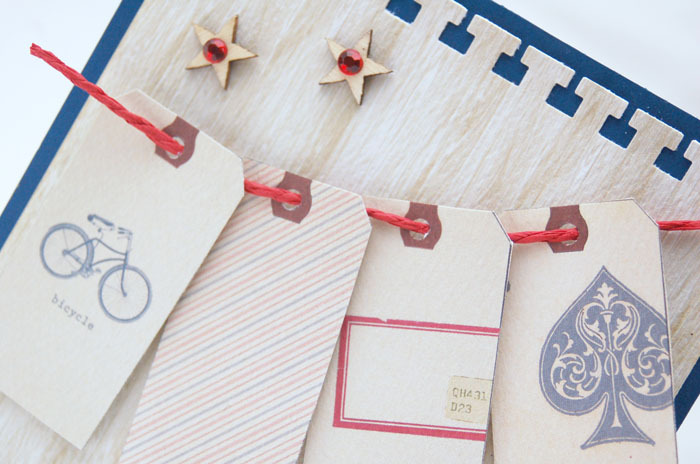 I really love the cute banner made of tags. Annabelle - love this card !! Anything red-white-& blue looks awesome and so much fun to work with !! Totally fabulous card (didn't expect any less from you - you always rock!) 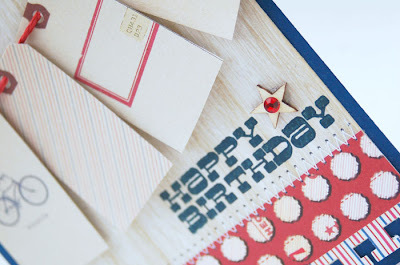 Love this paper line - was admiring it this morning on fb! Great card. The little tags are adorable! This is a gorgeous card! Thanks for the chance to win! I know what you mean about school. We've been back for a little over a week and I miss our carefree summers. Good luck! Love seeing a "man card", as I am just never knowing what to do for a male card...beautiful project, cool Bazzill papers!! I think the beach house collection looks like a lot of fun. I really love the patterns. I would love to win this fabulous collection. The beach house papers look so fun to work with. Your masculine card is fantastic. Love the colors in the beach house papers. I think this would be a very versatile collection. 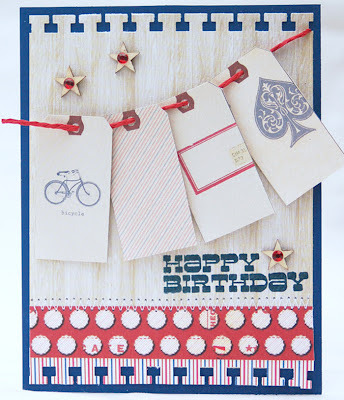 The new Beach House line is lovely, but I am truly in LOVE with the Card Shoppe card stock! The weight, the smooth texture, and the colors are just wonderful! Your card is quite cute. 'manly' items are harder for me to come up with. If I happen to win please contact me at forsara at netzero dot net thanks for the giveaway! I adore your card...love the tags! My kids don't start back to school until after Labor Day...still have to buy their school supplies! Beautiful, as usual... And the routine is not so bad, maybe you will have more time to create beautiful things!!! Fabulous card! The tags are an awesome addition to this card. Thanks for the opportunity to win the Bazzill products. 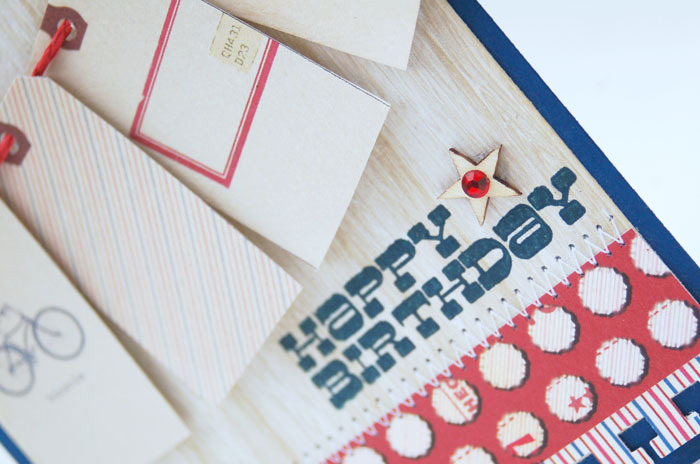 What a fun paper collection and your card is awesome...perfect for any man, young or old (which is always a challenge!). Thanks for the chance to win the paper pack. 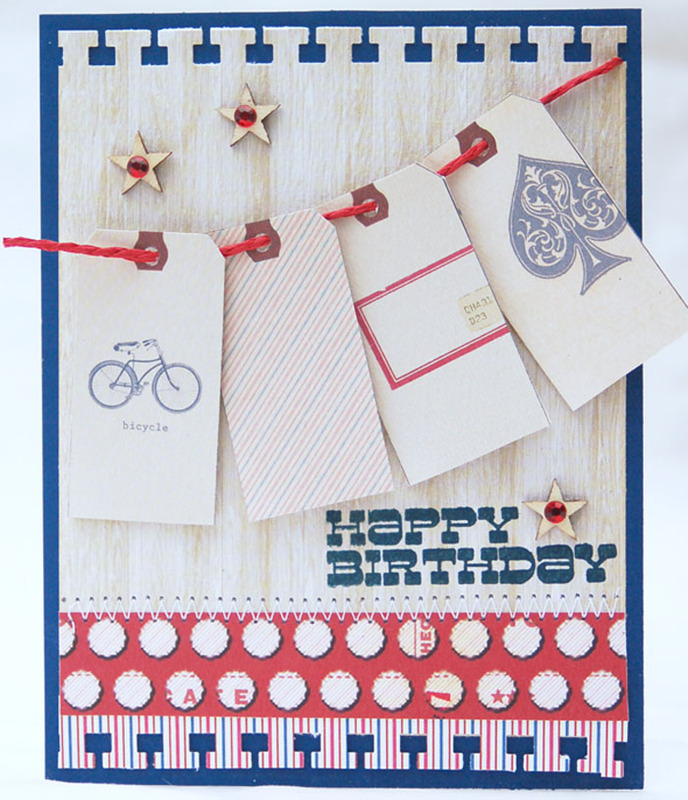 LOVE your card, red/white/blue is my fav color combination. That banner looks great too! Thanks for the giveaway! Would love to win this!! I agree that paper collection looks lovely. I also love that punch you have - I must look for one the same! What a great inspiration! I will definitely be lifting that banner! Thanks for sharing and the chance to win. Beautiful card!! As always, I love your style in all of the projects that you create... Thanks for the chance to win some new goodies! I love your card, and what a beautiful collection! You're right, the light colored woodgrain is fab! Sounds like you had an amazing trip, and what a delightful beachy card! Thanks for the chance to win! I love the tags on your card. Love the card! Looks like some great patterns in the paper pack. Wonderful card. I liked the tags used as a banner. Thanks for the give a way. thanks so much - great giveaway! such an awesome card! i love the hanging tags! fabulous card! love the tags!!! Great tags...lovely cards. Thanks for the giveaway...very kind of you to share your extras with the rest of us.